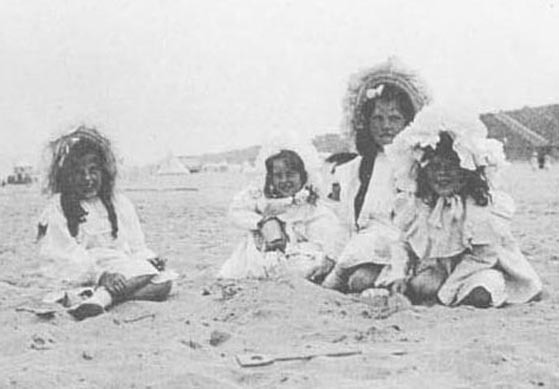 Approximately one hundred years ago four of the Savery sisters posed for a seaside snapshot. Their father, Rev. John Manly Savery, had exchanged livings about that time, leaving the flowering countryside of Froxfield in Wiltshire for a Birmingham parish, where there was a sooty garden, but better schools and, presumably, an extra shilling or two at month's end. Even so, times were hard, and the oldest daughter, Winifred, wrote an unpublished account of how the fire was set ablaze in the hearth and the girls dressed in church finery for a visit from the bishop's wife. When the visitor sent word that she would not be there, the fire was raked out to save coal, the Sunday dresses were hung up again, and a special treat--oranges to be sucked through sugar cubes--was distributed. Inevitably, the distinguished visitor arrived after all to be greeted by sticky girls in a chilly parlour. My mother died suddenly of a heart attack in 1925. In three years she had made herself so well loved by the parishioners that they subscribed to a memorial now in the church, a bronze by Frank Taubman. She was an evangelist by nature, whereas my father was essentially a pastor. During her short ministry she was the leader of a flourishing women's Bible Class and played a very active part in the erection of a church room... [she] organized services of Song that proved very popular during her lifetime and afterwards. ... it is often more convenient in a story to have characters of the same age, rather than those with a big gap between their ages. I had a cousin who was six weeks my junior, and I looked down on her from a measureless height of superiority. Christine Charlotte Alexandra Savery was born on June 22, 1902, and died in September of 1997. She was not as prolific an author as Winifred. 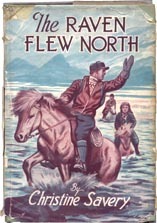 Her second book, The Raven Flew North (1950) for Stirling, I mention particularly so that I can quote from the publisher's flyleaf: "Parents are advised, when giving their children this book, to arrange beforehand a definite understanding as to what constitutes a reasonable bedtime hour." She, too, wrote 'books with a message' for Lutterworth, including Aircraftman Poke (1958), The Far-Farers (1960), Camp Robber (1962), Journey with Mark (1965), and The Siege of Blackbrae (1971), which were intended for 12 to 16-year-old boys and signed 'Chris Savery.' 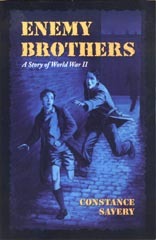 Not a stay-at-home author, Christine, together with her older sister Irene, worked with the Sandes Soldiers and Airmen's Centres, which provide a Christian atmosphere for off-duty servicemen. Before you conjure up a picture of austere old maids serving tea, you should know that that the sisters were on duty in France and evacuated with the troops from Dunkirk! Both later received the M.B.E. for their service, Christine in 1953 and Irene in 1957. The LONDON GAZETTE (30 Dec. 1952, p. 20) identifies Christine as Honorary Superintendent, Sandes Home, Royal Air Force, Mildenhall. Irene Edith Savery was born on May 7, 1899. Like Christine, she inherited her mother's evangelical fervour and, as previously noted, followed it across the world. She was, according to Winifred, "...able to write, but choose not to." She did receive a one-pound prize in 1959 for an article entitled Unfair to Tommy. On April 7, 1960, Winifred wrote in her work diary, "Irene died, carissima, carissima." 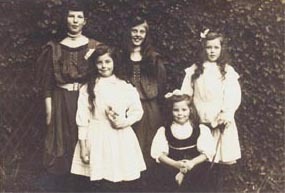 Irene was the first of the sisters to go and the only one that did not live past three score and ten. The story must be original and fiction. It must be written for Children (Boys, Girls, or both) of any age group between 8 and 16. There must be a clear explanation in the story of the way of Salvation and, if the author so desires, simple Christian teaching of a non-denominational character may be included. The place became holy ground. The way to "The City of Gold". Winifred's characters preached by example, and she went to considerable lengths to keep them from sounding like cardboard Sunday School teachers. Doreen, her mother's child, allowed her characters to preach a little, although not tiresomely, about their faith. Phyllis Evelyn Mary Savery (1901-1978) was in poor health throughout a long life. Savery recalls that as early as 1925 "Phyllis, who was very delicate (rheumatism and heart trouble), was not working." A typical entry in Winifred's diary reads: "Jan. 18--about Feb. 17 . Phyl ill--influenza and laryngitis. Again very difficult to work." Winifred, in addition to nursing Phyllis, often typed her many short stories and articles, which were published in a wide variety of periodicals. The diary mentions thirty-two pieces typed by Winifred between 1950 and 1965. Presumably Phyllis wrote others. Here, as a sample, are are the titles for 1955: Daffodil Country (published? ); Letters of Gold in the British Messenger; Primrose Country in the Marborough Times; Wild Trehern Moor in the Lily Library. At the Vicarage everyone read, and the sisters were taught at home prior to the move to Birmingham. According to Winifred's obituary, their father wrote about theology and church architecture, but the only book with his name that survives in the British Library, the Bodleian, or the shelves of used book dealers is 'The Book' and its Story (1911), left, which combines transparent credulity with contemporaneous archaeological discoveries. The Reverend John Savery was a persistent note-taker, and Winifred inherited a suitcase full of his notebooks crammed with tiny copperplate handwriting, among them a proud father's 'autobiography' of Winifred with entries such as: "16 (June) 1st began playing at peep. Cut first tooth this week." One of Christine's letters remarked that Winifred was "still writing at age 82 and had been at it since the age of 3." At eight, she edited a family magazine by "writing in the blank spaces of a church leaflet. . . and featuring a story by Homer and Hans Christian Anderson." The full account is in Rise and Fall of a Family Magazine, published in METHODIST MAGAZINE in February of 1958. The first magazine was followed by a succession of others with contributions from her sisters and playmates. Mrs. E.C.W. Hummerstone, Winifred's goddaughter and literary heir, possesses many of these, filled with careful, clear handwriting and colourful illustrations. After her older sisters had left the vicarage, Doreen continued the tradition. Winifred and Christine attended the King Edward VI High School for Girls in Birmingham. Winifred featured the school in two of her books, Danny and the Alabaster Box (1937) and Redhead at School (1951), and a couple of short stories, and she commemorated composer Albert Gaul, who taught there, in a 1958 article for The Times of London. Both sisters did well at King Edward's--except in mathematics-- and went on to Oxford, where Winifred graduated in 1920, the first year in which degrees were awarded to women, followed by Christine in 1924. Oxford, too, is featured in Winifred's fiction, especially an unpublished two-volume prequel and sequel to Emeralds for the King that she wrote around 1985 to amuse Doreen when she was terminally ill. This book, Haggiston Hall, along with scores of other Savery manuscripts, is in the Knight Library at the University of Oregon. Christine might have been wickeder. She had gone into town on a hot day with a another girl, and (gasp!) they entered a pub to purchase lemonade, which they drank outside. When they were about to return their glasses, they realised there was a proctor watching and walked off, forfeiting their deposits. Another writer in the family was a cousin, Mysie Forsythe McFarlane (1861-1956). Signing herself M. E. Fraser, she wrote Young Sir Ralph, Madcap of the Family, The Luck of the Treherns, and Barbara in Charge. A year before she died, aged 90[?] in 1956, her book Audrey at the Grey House, was retyped and shortened by the ever-obliging Winifred. 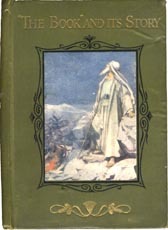 When Winifred was 98 years old, she picked up the manuscript to The Quicksilver Chronicles, a novel which began in 1918 as a short story and had been altered to suit prospective editors for decades. No longer able to move, except in a wheelchair, her eyesight deteriorated so that she could not read either what she was writing or her previous draft, she completed a new version of her story in three manuscript books, a total of 692 pages. Her hymn on the last page is shaky, but still legible. It was a remarkable triumph of the will and a fitting climax to her career. This web site © 2010 by Eric Schonblom. Portions of this page were previously published by Stella & Rose's Books at www.stellabooks.com/ and are reproduced here with their permission. The unpublished works of Constance Savery are reproduced with the permission of her literary heir and copyright owner, E.C.W. Hummerstone.